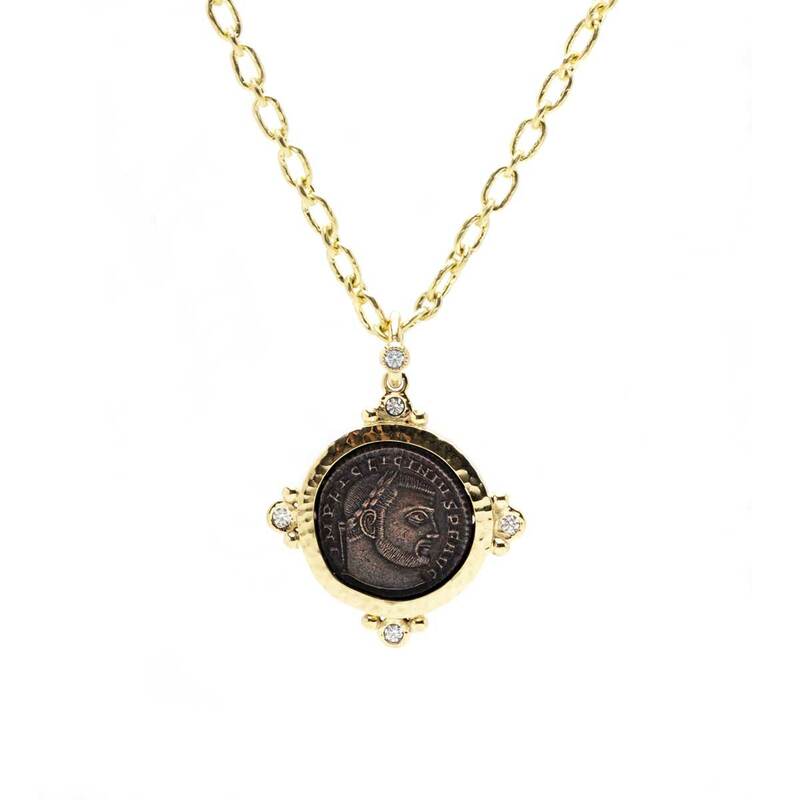 This large bronze coin from the Roman Empire 308 AD is set in 18K yellow gold with a hammered texture and is enhanced by four white diamonds set one on each side and an additional diamond atop the chain clasp. 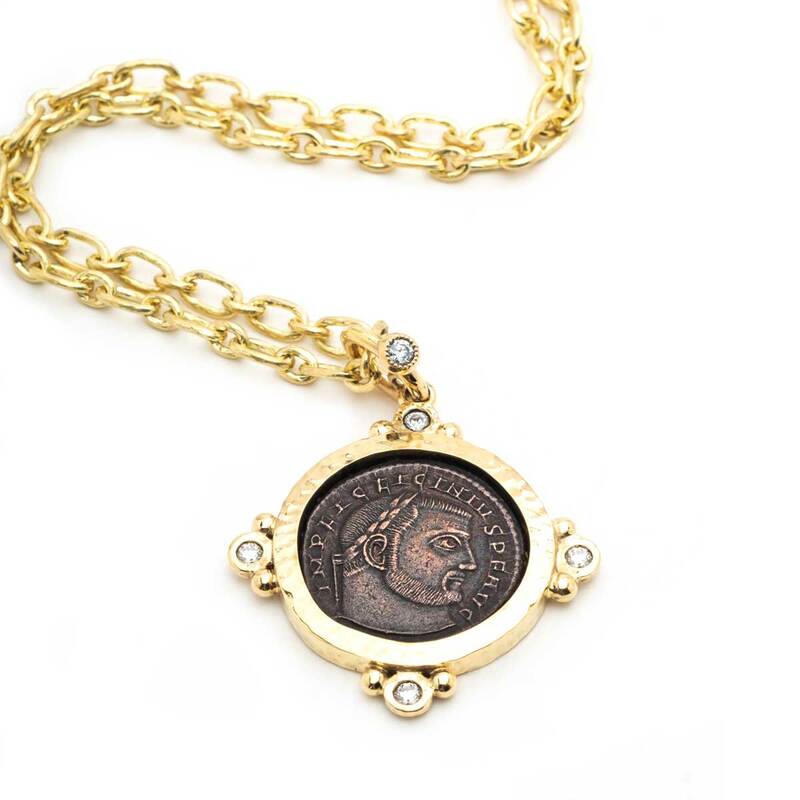 16 inch handmade 18K yellow gold chain. 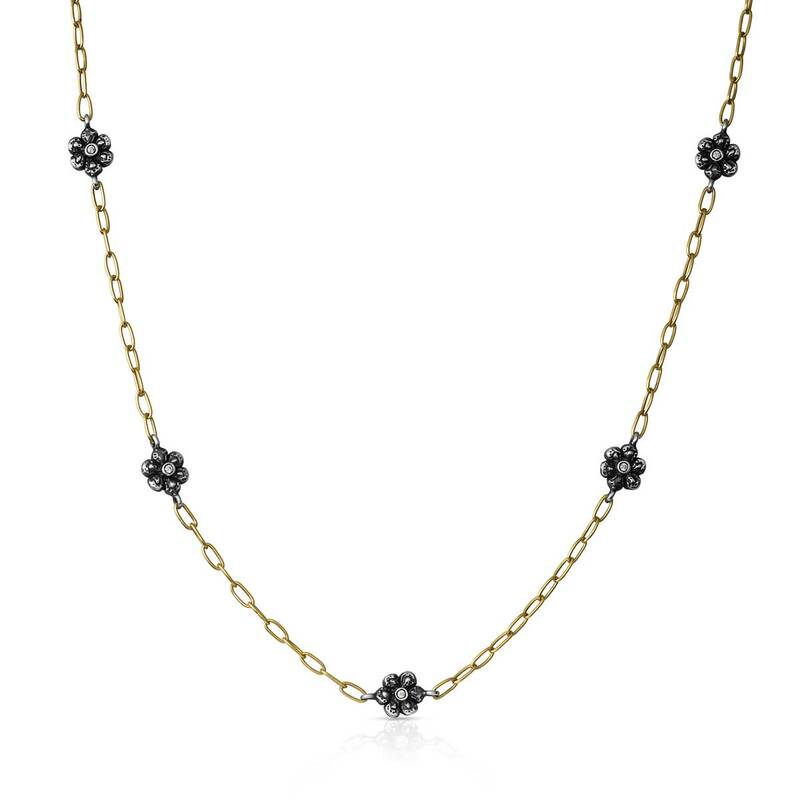 0.26 ctw diamonds. 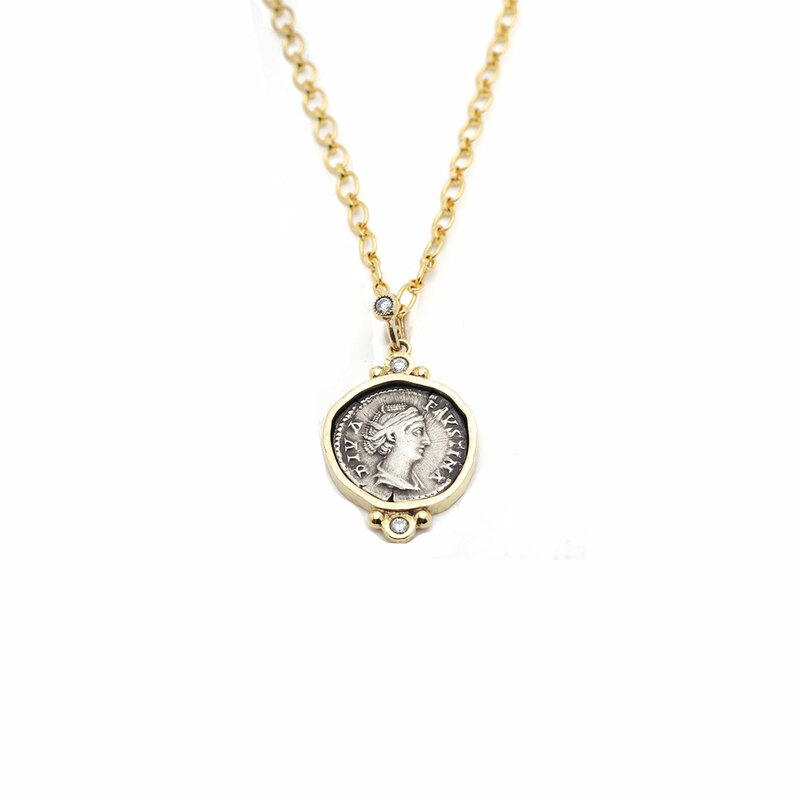 The pendant size is 0.98 inches. 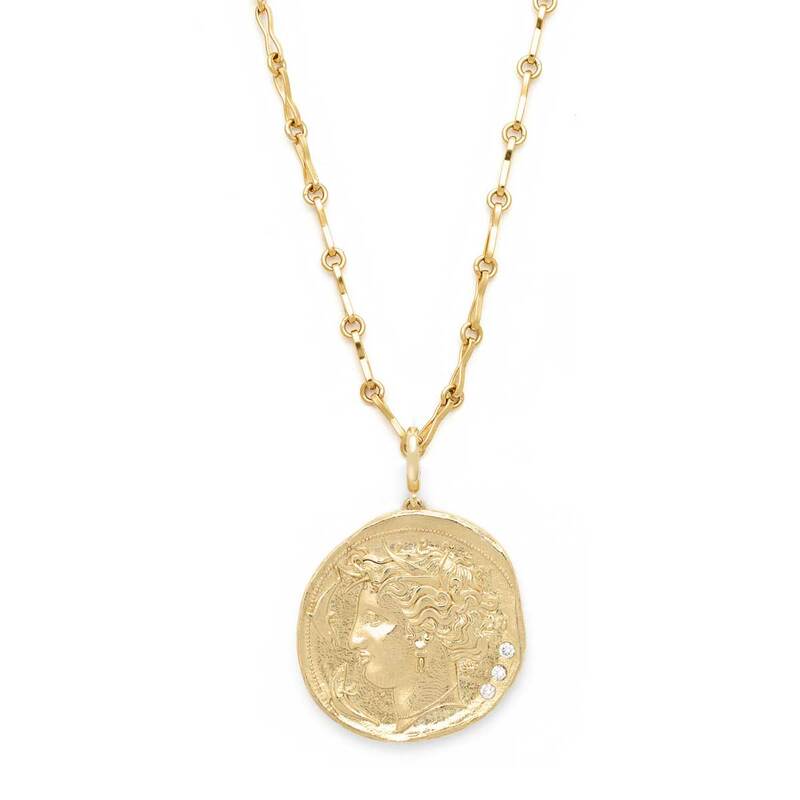 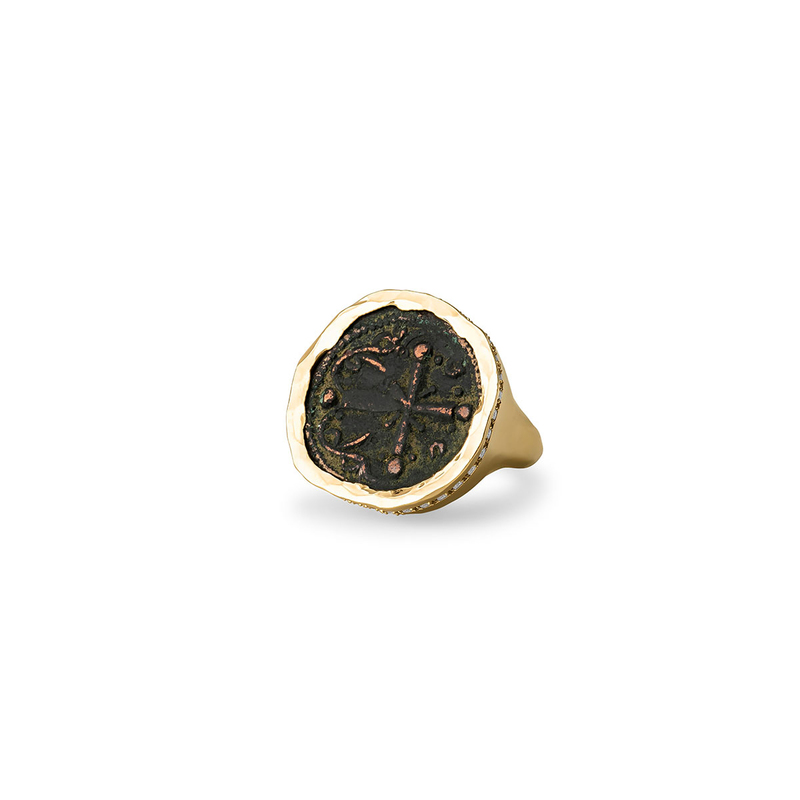 We love the strength that seems to exude from this roman coin and the softness of the hammered 18K gold edge in which it is so beautifully set.